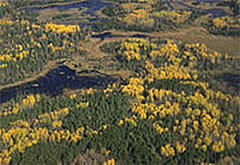 Becker County currently manages approximately 75,000 acres of tax-forfeited land. The majority of these lands have been classified as "conservation" and are retained and managed by the County for forest products, wildlife habitat, watershed protection, and recreation. Parcels classified as "non-conservation" are disposed of through exchange or sale as allowed by Minnesota State Statute 282. Following is a listing of parcels available for over the counter public purchase. Click on the parcel number to view specific property information. If a parcel is in Torrens, or is subject to Covenants, links to additional information will be provided for that parcel. Following is a listing of parcels available for over the counter purchase only to adjacent owners. Click on the parcel number to view specific property information. For more information regarding tax-forfeited land sales, contact the Auditor-Treasurer's Office at 218-846-7311 or email: taxforfeitedsale@co.becker.mn.us.